The Sligo Aikido Dojo hosted Aikikai Ireland seminar in the Bluestack Centre get's covered in RTE's At Your Service programme. Eamon Coyne Sensei was invited to give a demonstration at the Judo Ireland Open in Galway (thanks Daniel and Piotr for the help). 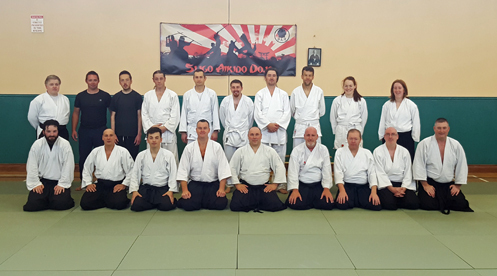 Michele Quaranta 6th Dan had a week dojo tour giving classes in Athboy, Sligo, Bray and finally at the weekend giving a Shidoshakai seminar in Athboy. 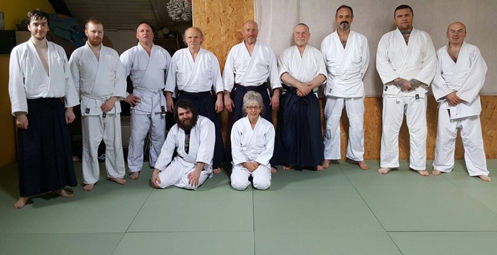 Sligo Aikido Dojo hosted a collaboration with Eamon Coyne Sensei and 2 American Sensei Dave Stier 6th Dan and Kathy Stier 6th Dan from Green River Aikido, Massachusetts, Boston along with 2 of their students Valarie McGettigan and Brian Keaney. Athboy Aikido Dojo hosted an Aikikai Ireland technical Committee Seminar with Joe McHugh Sensei, Trevor Pigott Sensei and Eamon Coyne Sensei and Kyu gradings, well done to all the Aikidoka that were successfully promoted. 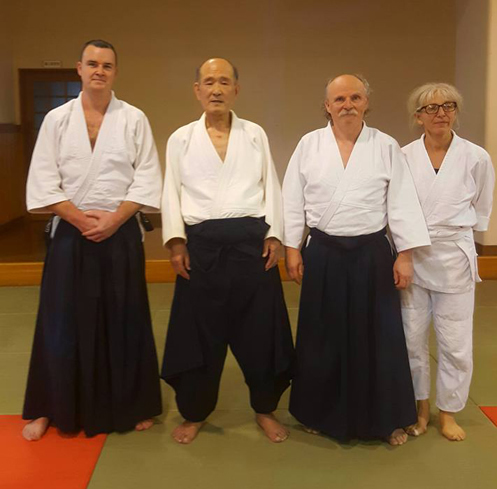 A first time collaboration between Ray Butcher Sensei 4th Dan head instructor at Henshin Aikido Dojo (Balance Ireland) and Joe McHugh Sensei 4th Dan Ikeda Dojo Wicklow. 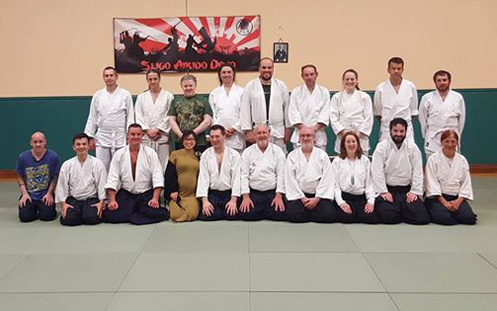 Sligo Aikido Dojo hosted a seminar with Fiordineve Cozzi Sensei 6th and Eamon Coyne Sensei, with 12 Italian Aikidoka traveling to Sligo to train with us. 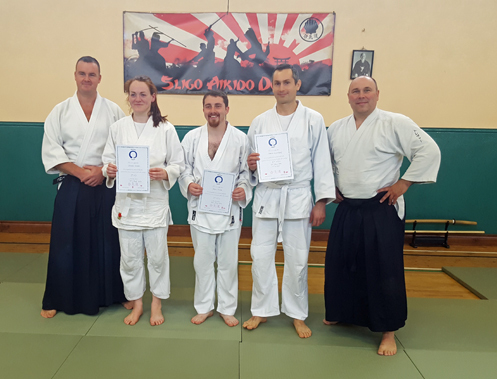 Sligo Aikido Dojo hosted/organised the Residential Summer Camp with Michele Quaranta Shihan 6th Dan and seen Barry Tully pass the Sandan exam and Shaun Blaney, Declan O'Reilly, Sarah Conlon and Sylvain Marinier pass the Shodan exam (well done again). 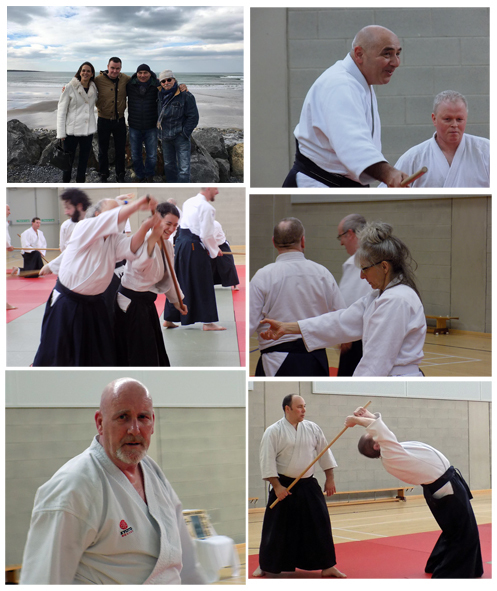 At the course we also had visiting students form Miami, Boston, Florida (USA) and Neauchatel, Basel (Switzerland) as well as all the other Aikikai Ireland dojos around the country. Ikeda Dojo Wicklow hosts a one day seminar with host instructor Joe McHugh Sensei and Rathmines Aikikai instructor Jean Pasley Sensei. 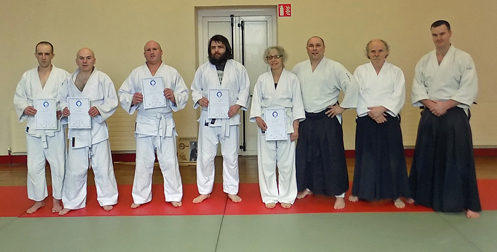 Sligo Aikido Dojo hosted a one day seminar which Kyu exams along with Trevor Pigott Sensei from Athboy Aikido Club, well done to the successful grading candidates. 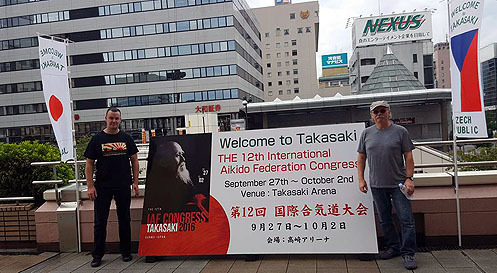 Eamon Coyne Sensei, Joe McHugh Sensei and Lizzy McHugh attended the International Aikido Congress in Takasaki Japan and trained with many of the worlds top instructors. The gang also enjoyed a very special class at Meishin Kai Dojo in Iruma with Masatomi Ikeda Sensei, Kamei Sensei and Michele Quaranta Sensei. Sifu Michael O'Leary from Wing Tsun Ireland invite Eamon Coyne Sensei to give class at seminar in Sligo. 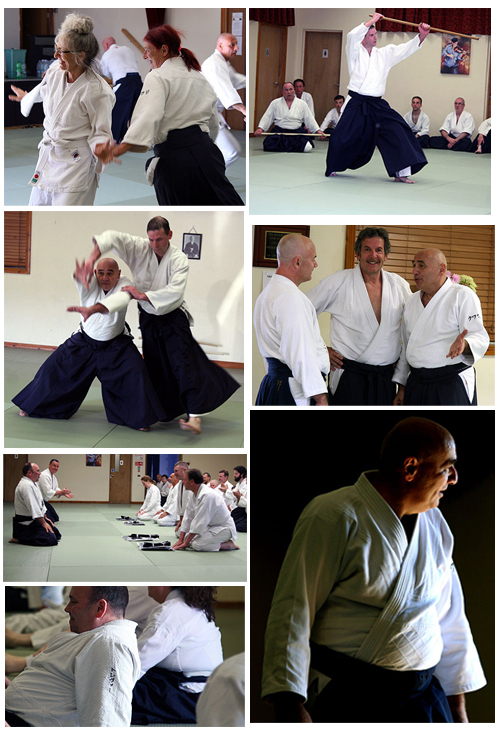 Ikeda Dojo Wicklow hosted the Autumn Seminar with Michele Quaranta Shihan 6th Dan. Sligo Aikido Dojo hosted the Technical Committee Seminar with Joe Joe Mchugh Sensei (Ikeda Dojo Wicklow), Trevor Pigott (Athboy Aikido Club) and Eamon Coyne Sensei, well done to all that passed their kyu exams. We had Sligo students travel abroad also to the following training camps..
Tom Thomas Waldronn and Sarah Conlon to Basel, Switzerland for Hiroshi Tada Sensei 9th Dan. Carlene Gildea to Sofia, Bularia for Ed Germanov Sensei 6th and Michele Quranta Sensei 6th Dan. 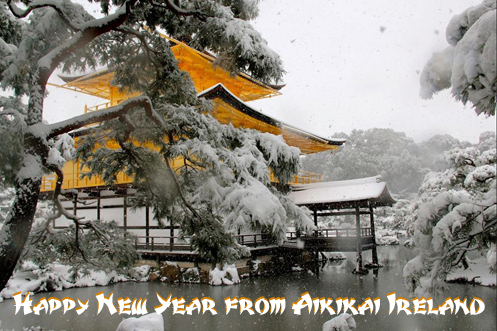 To each and everyone of the Aikikai Ireland and all of our Aikido friends that trained with us thanks for a great year. pics from Saturday 3rd of December. well done everyone! Keep up the good work folks!!!! pics from the course now up, see below. The trip included a fantastic Shodo exhibition of the work of Esteban Martinez hosted by Ed Germanov Sensei, aikido seminar with Michele Quaranta Sensei at Tendokan Dojo hosted by Ed Germanov Sensei, Shodo at Funa Dojo and many more wonderful experiences. Carlene said after the trip "I am so grateful to everyone for the wonderful Bulgarian hospitality - blown away with the kindness - amazing people, and so many new friends, thank you!" 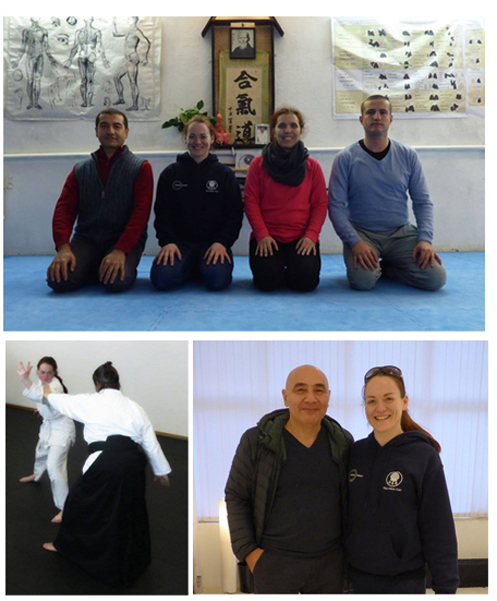 Yet another fantastic course with Michele Quaranta Shihan was enjoyed by the participants in Wicklow on the 15th and 16th of October. At the course Michele also presented the Aikikai Yudanasha Diplomas to the new the successful grading candidates from June at the summer camp. Pictured above left to right with Michele Sensei are Shaun Blaney (Shodan), Sarah Conlon (Shodan), Bary Tully (Sandan), Declan O'Reilly (Shodan) and Sylvain Marinier (Shodan). 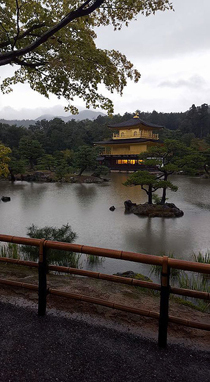 What an incredible trip, Aikikai Ireland members Eamon Coyne Sensei, Joe McHugh Sensei and Lizzy McHugh travel to Japan for a truly memorable experience. During the trip Eamon, Lizzy and Joe hooked up in Japan with European group of Michele Quaranta Senseis students from Czech Republic, Holland, Italy, Macedonia, Slovakia and Switzerland. 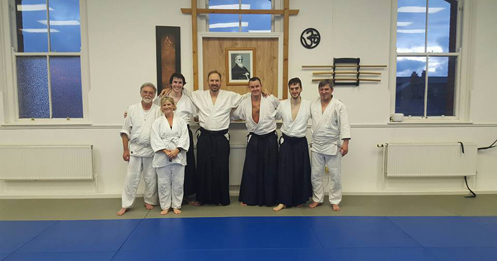 There were many special moments one of which was a class in Meishin Kai Dojo in Iruma where we had a special class with Masatomi Ikeda Sensei (pictured below with Eamon, Lizzy and Joe), Kamei Sensei and Michele Quaranta Sensei. A special thanks to Mario Cerny (Slovakia) for all of the organisation and Go Shimizu (Japan) for the great help during the trip. For pics and more information on the trip click the link below. On Saturday 8th of October Eamon Coyne Sensei was invited by Sifu Michael O'Leary of Wing Tsun Ireland to give an Aikido class at their Seminar in Sligo. The Aikido Wing Tsun students had a great class together, and the feedback was very positive. Taken from the Wing Tsun Ireland website (http://wingtsun-ireland.ie/sligo-oct-2016.html) Sifu Michael O'Leary "Sensei Eamon Coyne from Sligo Aikido Dojo, gave the participants a one hour introduction to Aikido which everyone enjoyed. Having a guest instructor to give a taster of their art is something that began at the summer seminar.... Eamon is a 4th Dan in Aikido and did a wonderful job of not only demonstrating the beauty and effectiveness of his art, but also did a great job teaching in a clear, understandable and friendly manner. He has invited Wing Tsun - Ireland to teach a class in the Sligo Aikido Dojo so this is something that will happen in the not too distant future. A big thanks to both Eamon and all the members of the Sligo Aikido Dojo". 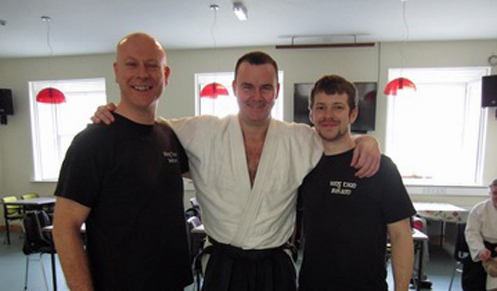 Thanks again to Sifu Michael O'Leary and Michael Preston pictured with Eamon below. 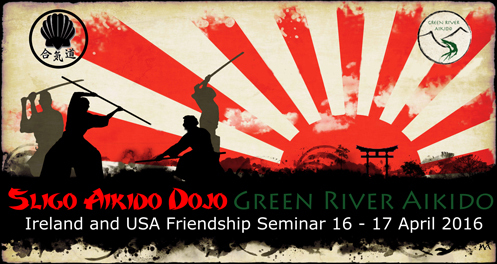 Look forward to the return visit in Sligo Aikido Dojo in the near future. A big thanks from Eamon Coyne to the guys at the Henshin Aikido Dojo (http://www.tbi.ie/aikido) on a recent drop in visit on Monday 25th of July. Teaching class that night was Colin Meagle, thanks to Colin and the guys there that night for the very enjoyable training. Ray Butcher has a great gang up there. See you in Sligo on the tatami in the not too distant future hopefully. 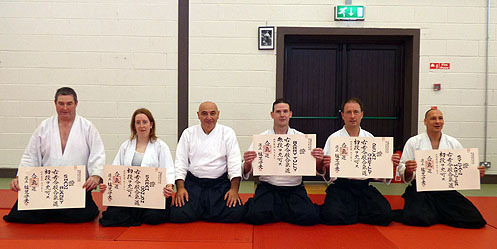 On Saturday 16th of July some Sligo Aikido Dojo members had the oppurtunity to test for the next Kyu grade. 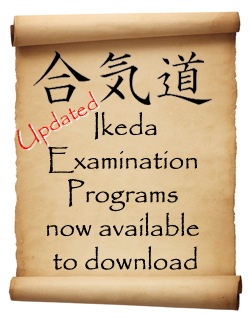 The exams were held after regular Saturday morning class. 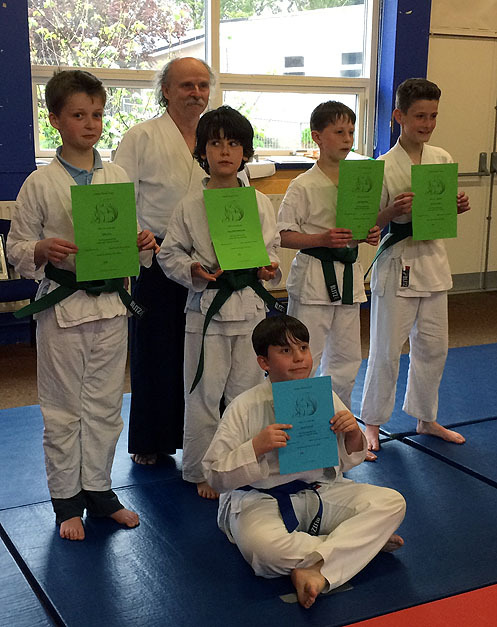 A big thank you to Trevor Pigott Sensei who travelled down to help conduct the exams with Eamon Coyne Sensei and also from Athboy Shodan Shaun Blaney who travalled down to support the examinees. Cavans Tony McHugh Sensei and IT Sligo Dojos Declan Bray Sensei presence was greatly appreciated and last but by no means least the Sligo Aikidoka that helped and took ukemi for the testing students. During mid July Sligo Aikido Dojo had the pleasure of a return visit from Wuhan in China of Emmet Sherry and his lovely wife Sarah. Emmet was a prominent member of the Sligo Aikido Dojo for a number of years but emigrated to China a few years ago.He continued his practice in Aikido in China and has taught at Schools there too. Thanks to Carlene Gildea for taking fanastic pics, enjoy by clicking below. 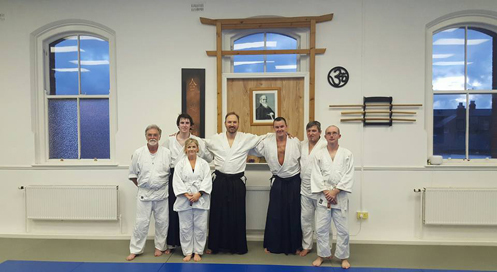 Sligo Aikido Dojo was the host venue for the recent seminar between Fiordineve Cozzi Sensei 6th Dan Aikikai and Eamon Coyne Sensei 4th Dan Aikikai. At the course Fiordineve gave a fantastic kids class which was thoroughly enjoyed by all. 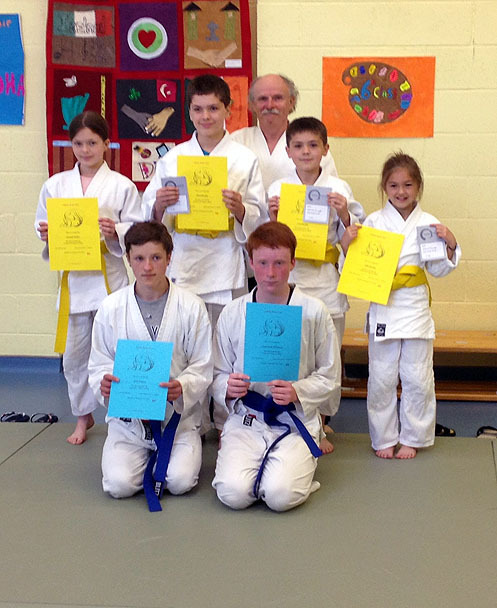 The adults classes were shared by Fiordineve Cozzi Sensei and Eamon Coyne Sensei over the Saturday and Sunday. Fiordineve along with his lovely wife Rosella also were 11 Italian Aikidoka from differing parts of Italy. A great time was had by all, with plenty of good training and also some sightseeing too. Pics can be viewed by clicking the image or link below. 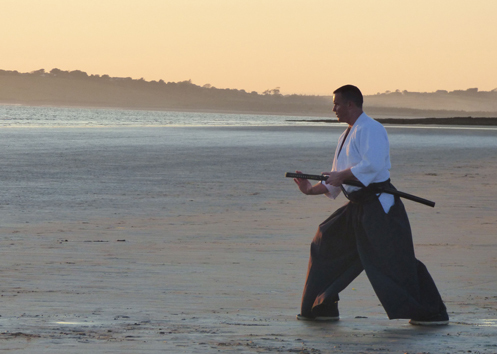 With the recent spell of good weather, on Monday 30th of May Sligo Aikido Dojo headed down to the beautiful Rosses Point beach for an impromptu class to practice some Bokken and Jo. Carlene Gildea took some great pics during the class. Great to be outside in such a magnificent setting and pratice Aikido too. More pics on link below. 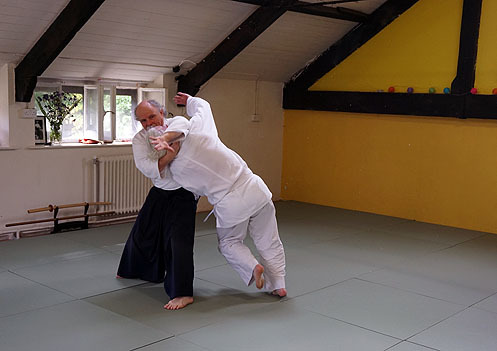 The third collobaoration between Sensei Jean Pasley (Rathmines Aikikai) and Sensei Joe McHugh (Aikikai Ireland) took place on Saturday 18th of June last in Joe's Bray Dojo down in Wicklow. A thoroughly enjoyable days training was had by all in attendance. Click the link below for more pics from the day. On Saturday 7th of May a first time collaboration between Ray Butcher Sensei 4th Dan head instructor at Henshin Aikido Dojo (Balance Ireland) and Joe McHugh Sensei 4th Dan head instructor and host of Ikeda Dojo Wicklow (Aikikai Ireland) occured, a great days training was had by all in attendance. 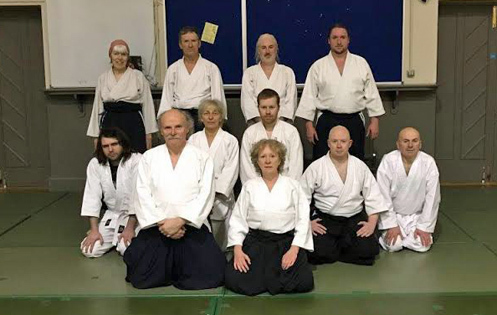 During the week of March 14th to March 20th Aikikai Ireland had the pleasure of dojo visits and a Shidoshakai seminar too. 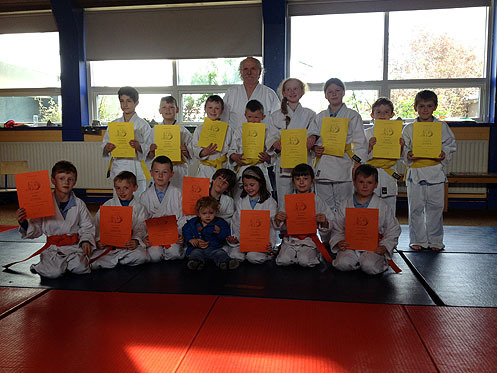 Michele paid a visit to Athboy dojo on the Monday, Sligo dojo on the Tuesday and Bray dojo on the Wednesday. 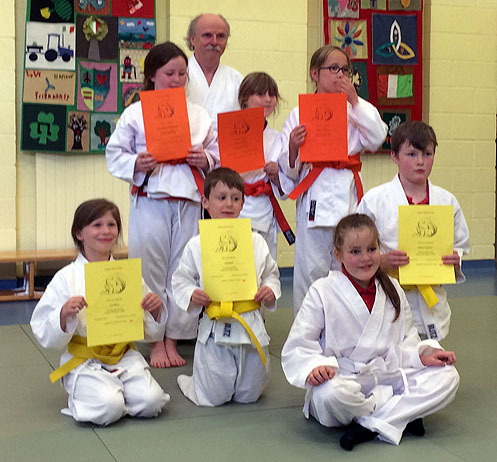 On Saturday and Sunday Michele Sensei taught a Shidoshakai seminar in Athboy. 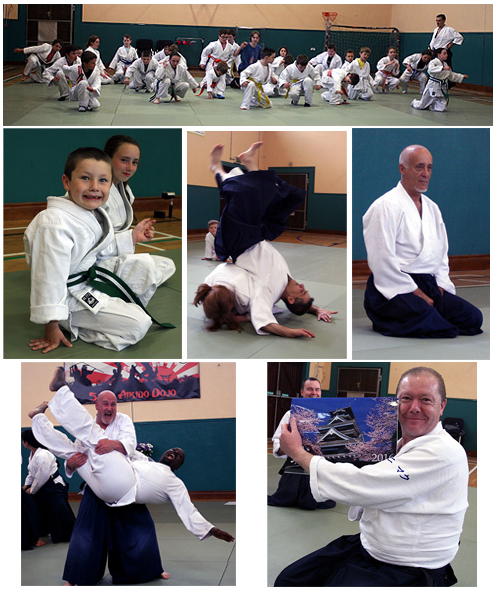 Judo Ireland sent an invite to Sligo Aikido Head Instructor Eamon Coyne Sensei to demonstrate the art of Aikido at the Judo Ireland 41st Galway Open on Saturday 5th of March 2016. Eamon Sensei and his students Daniel Killeen and Piotr Cichon were honoured to demonstrate Aikido on behalf of Sligo Aikido Dojo at the event.The event had a huge crowd with 150 Judoka form 25 clubs particpating at the event with all of the their friends and family along supporting. The Sligo crew received a warm welcome and were delighted with the respons afterwards. 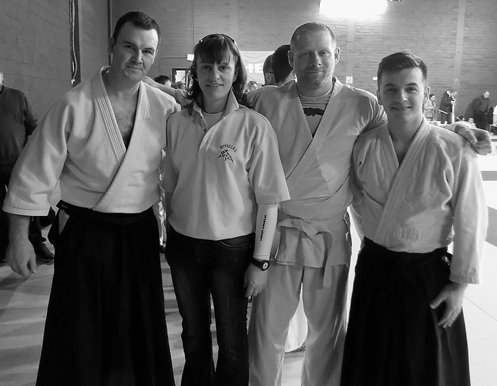 Eamon Sensei and his students Daniel Killeen and Piotr Cichon were honoured to demonstrate Aikido on behalf of Sligo Aikido Dojo at the event. The event had a huge crowd with 150 Judoka form 25 clubs particpating at the event with all of the their friends and family along supporting. The Sligo crew received a warm welcome and were delighted with the respons afterwards. Pictured above (L-R) are Eamon Coyne, Finola Croke (Judo Ireland), Piotr Cichon and Dan Killeen. Thanks to Judo Ireland Acting Deputy Vice President Finola Croke and Secretary Sylvia O'Flynn for the invite. It was a memorable moment for the lads. Video footage was taken (will be uploaded soon). Click below for some stills from the demo. The Bluestack Centre in Donegal which is the venue for the Aikikai Ireland Residential Summer Camp with Michele Quaranta Shihan featured on the national Irish TV Channel RTÉ1 programme 'At Your Service'. The programme focuses on helping businesses in the tourism and hospitality industry generate more business. Eamon Coyne Sensei course coordinator was asked why the venue was suitable for the summer camp. Also included in the short segment from the programme above is footage of action from the camp. Great to see Aikido getting a bit of coverage on the national broadcasting channel. 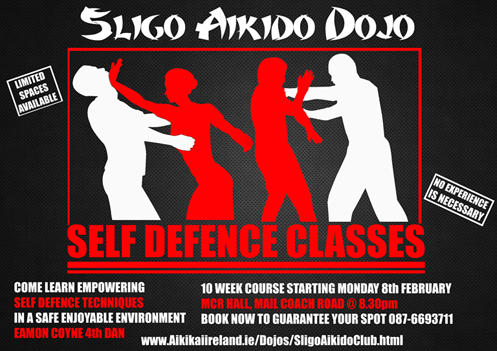 Thanks to Rosemary Ward (Manager Bluestack Centre) and all the staff for the top notch service we receive every year and also the guys from At Your Service for including us in the programme..
Sligo Aikido Dojo will be running a 10 week self defence program starting on Monday 8th of February at 8.30pm. The cost of the course is €10 per class or €75 in advance for the full course. Book early to avoid disappointment 087-6693711 or eamoncoyne@gmail.com.